Definition at line 50 of file util-pool-thread.h. Definition at line 52 of file util-pool-thread.h. Referenced by PoolThreadFree(), PoolThreadGetById(), PoolThreadGrow(), PoolThreadInit(), and PoolThreadReturn(). Definition at line 51 of file util-pool-thread.h. 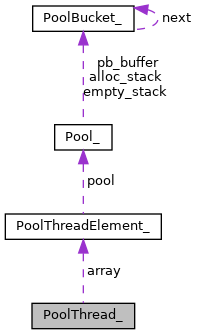 Referenced by PoolThreadFree(), PoolThreadGetById(), PoolThreadGrow(), PoolThreadInit(), PoolThreadReturn(), and PoolThreadSize().